Introducing a milestone in desktop spirometry – Cosmed Pony FX is a new generation portable spirometer, for pulmonary function testing in the surgery, community or occupational health setting. Pony FX has been designed to allow easy spirometry testing without sacrificing anything to functionality. With Pony FX you have a choice of bi-directional turbine flowmeter (the choice of most GP practices) or Pneumotach ‘Flowsafe’ - a single-use system with extreme accuracy at low flow rates. Both systems meet the stringent ATS and ERS international requirements for accuracy and testing. 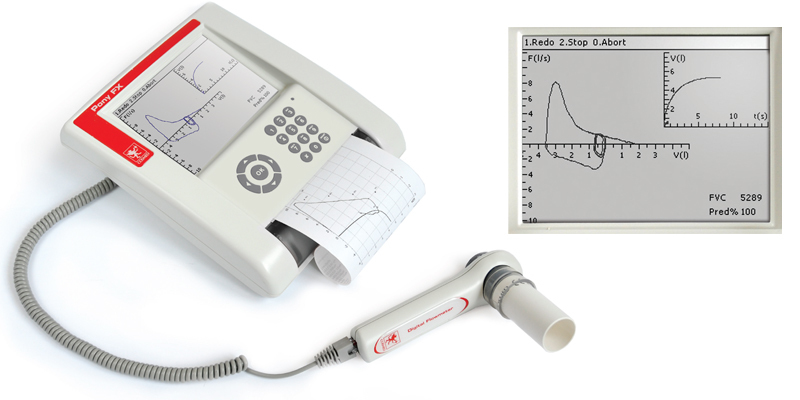 Click the button below to add the COSMED PONY FX Tabletop spirometer to your wish list.